Suddenly, the station is rocked by an explosion. It knocks you off your feet and nearly down a jefferies tube, but you barely manage to hold on. Your toolbox slides into the tube and crashes 20 feet below. The sound echoes all around you, and then there is only dead silence. What the hell happened? Your thoughts turn to the striking miners, or turncoats as the Captain calls them. They had shut themselves off in the south wing two weeks ago, determined not to drill one more cent of ore until their terms were met: higher wages, reasonable working hours, more reliable drill suits. The Captain didn’t bend, of course, and with the guile sure to win him a pay raise he shut the pressure hatches to the entire area. The 58 workers would be completely isolated until the Empire sent in their negotiating squad, along with a replacement team. But what were the strikers trying to do, blow up the station? Something isn’t right. You tuck in your technician uniform and take a breath. The Galactic Empire trained you to remain calm in crisis situations like this. From somewhere below, you hear the hiss of steam as a pipe bursts. It’s gonna be a long night. 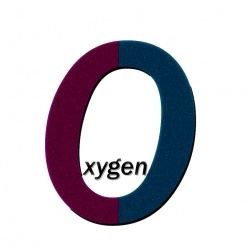 Oxygen (Benjamin Sokal; 01-Oct-2010; Glulx). IF Comp 2010: 12th place of 26 entries. Download Oxygen.gblorb from the IF Archive. The story file. Oxygen - at ifwizz interactive fiction (in German). Download OxygenWalkthrough.txt from the IF Archive. Walkthrough by the author. This page was last modified on 24 June 2016, at 16:23.